As we are well into the start of the second half of 2015, it’s kind of frightening to realize that fact. Still, no better time than now to examine the other reader selection now associated with this duo post series of ours. Determined way back at the start of the year, which is appropriate as we’ve reached the plateau of the summer movie season. A period now very much invested with the comic book superhero. The fun Ant Man being only the most recent in an ever-growing line of them, and contrasted today by Bubbawheat‘s book/movie pick. That being Alan Moore’s Watchmen. The paneled periodical ran in the latter half of the ’80s, and compiled into a seminal DC Comics graphic novel the same year the stock market crashed in 1987. Befitting, I think, as it dealt with anxieties of the Cold War, chiefly turning nuclear hot during the Reagan Administration, byway of deconstructing the “superhero” concept within the idealized genre. Heady stuff that expanded what readers thought the comic book could accomplish. As is our custom, the Scientist Gone Wordy Rachel will look at that graphic novel, our first for this parallel post series, that retains a throng of fans along with being ‘gravity well’ criticism of the comic-book-slash-superhero industry that now rules our summers. I’ll review the Director’s Cut of the 2009 film adaptation, which some said would never happen, let alone be capable of doing the supreme work of Moore, artist Dave Gibbons, and colorist John Higgins any justice. A brief synopsis of the film: Set in an alternative America where costumed superheroes exist, and even help win the Vietnam War (let alone get Richard Nixon re-elected, a few times), the Cold War’s tensions still threaten the world. One night in 1985, a former member of the “Watchmen” known as “The Comedian” sits alone in his apartment watching a news program discussing the possibility of nuclear war with the Soviets. When a powerful assailant breaks into the room and proceeds to pummel him before tossing the retired hero to his death, the masked vigilante Rorschach sets out to uncover a plot to kill and discredit all past and present superheroes. On the run from the law, he’s determined to investigate his former crime-fighting legion. The dark conspiracy he finds links to their shared past and a catastrophic consequence for the future. 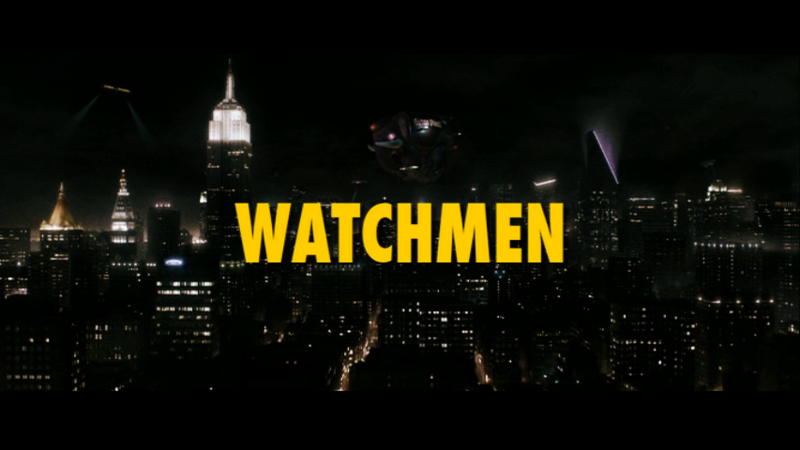 Their mission was to watch over humanity…but who is watching the Watchmen? * “The 67.7% overall decrease is one of the highest for a major comic book film.” ~ Wikipedia. Distinctly I remember gathering myself up to take in director Zack Snyder’s Watchmen the weekend it was released in ’09; even if receiving, to put it mildly, “mixed” reviews from film critics and movie bloggers. While opening day did boffo business, the film saw a significant drop in attendance by its second weekend*. No doubt it’s almost three-hour length, more adult themes, were issues younger audiences weren’t into, in the post Iron Man year. Primed as it were for the light-hearted and spectacular Marvel makes a mint at these days, which definitely wasn’t found here. There’s no getting around the fact this was another visually stunning piece by Zack Snyder, he of 300 fame. Bringing the comic book panels to life on the big screen as he’d done with the source Frank Miller graphic novel previously, if only slightly less stylized than Robert Rodriguez’s adaptation of his SIN CITY. Certainly, Snyder followed up with a similarly “noirish” quality to this costumed violence, albeit less classically heroic, and packaged as a mystery right along with his effort. For sure, Zack knows how to catch your eye, alright. Again, Watchmen — no matter which version you screen1 — was all in keeping with the cynical attitudes, sexual motivations, and flawed, morally questionable heroes that remain the hallmarks of film noir. In this case, more like that of Mike Hammer from Robert Aldrich’s Kiss Me Deadly than Richard Donner’s Superman…albeit within the context of a demythologizing superhero graphic novel and the fear and anxiety prevalent during the last throes of U.S.-Russia political hostility in the ’80s. In that aspect, screenwriters David Hayter and Alex Tse were most effective in what turned out to be an alloy adaptation of the material2. Sure, there were a number of changes made in this screen translation that likely tested fans, and the already testy Alan Moore that much more. Likely driving him to even greater unforgiving expansiveness toward the mendacity of Hollywood filmmakers daring to put their smarmy hands on his stuff. Key being the extended fight scenes receiving the now telltale Zack Snyder slow-motion, hero-stylized treatment, and just about as brutal as those meted out in 300. Even the look of our “heroes” received a millennial makeover. Not to mention providing a change to the author’s ending, which harkened back to a specific story in a ’60s anthology sci-fi series3, that Alan Moore spit venom upon. 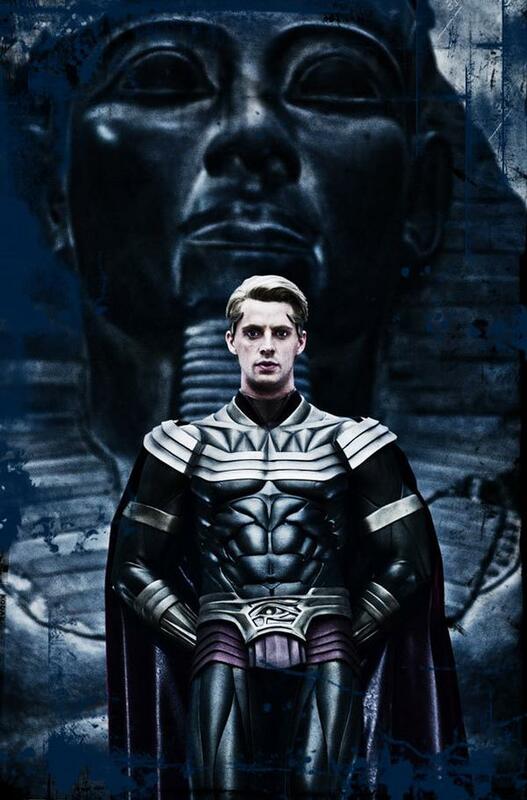 Mixed results were also found in elements crucial in judging the adaptation’s success, not to mention Ozymandias’ outfit rivaled Batman & Robin‘s. Malin Ackerman not exactly great as Silk Spectre II, which Carla Gugino (who played her mother) would’ve been perfect for, Patrick Wilson (Nite Owl), Jeffrey Dean Morgan (The Comedian), Jackie Earle Haley (Rorschach), and Matthew Goode (Ozymandias) were amp’d beyond their mortal counterparts on the page, diluting Moore’s deft juxtaposition to Dr. Manhattan (Billy Crudup). Even so, each had their moments on-screen4. As Jabeen Akhtar recently wrote, “Comics have been, and continue to be, an unequivocal tool used by outcasts to narrate, often through metaphor, their distinctive experiences.” Both Alan Moore’s innovative story and movie-makers attempt at rendering it for the big screen paid off, albeit unevenly, in vastly different realms. Perhaps, Zack Snyder was a tad too heavyhanded with his treatment of Watchmen6, but you can’t say he didn’t give it a valiantly darker effort, throwing a light on something refreshing, for once. Just don’t get me started with what he did with Man of Steel, though. I’d bought the trade edition of ‘Watchmen’ and wasn’t that much impressed. The artistry and concept weren’t all that bad. But one does get tired of The Doomsday Clock and back handed slaps at super power policies that did work. The film itself is a neat and fluid near carbon copy of Moore’s original work. Hyped by superior Special Effects. That bore few surprises throughout. Most notably, Rorschach, Archie and The Comedian. Still think Frank Miller’s ‘The Dark Knight Returns’. Both paper and recently animated. Are far superior! Not a bad film I thought, but not a great one either. Good review. Well said! And thank you for the shout-out. I do have a lot of issues with this adaptation but I agree with you that the pros of this film outweigh the cons. There is a lot of good stuff and Snyder should be commended for even getting it made with all the stuff he crammed into it. I would say that if you have the time the Ultimate Cut version is the way to go to fully enjoy what Snyder intended. It is the closest we will probably ever get to a faithful cinematic adaptation of WATCHMEN. I think that what DC should do is create an animated miniseries of WATCHMEN so that it could be even more faithful like they’ve done with the recent animated adaptations of BATMAN YEAR ONE and THE DARK KNIGHT RETURNS, which were both very well done. My pleasure, J.D. Yes, we’re very much in sync with this one. This only my second viewing and I have to admit to enjoying it more this time around. I do have The Ultimate Cut now and will take that one in next. I wasn’t the biggest fan of the movie but I did admire the ambition and the same uniqueness that Moore’s mini-series brought to the comic book space. I remember REALY digging this when I saw it on the big screen, but haven’t rewatched it since. I thought that the style was really cool and the darker tone (visually and narratively) work well w/ the subject matter. I should revisit this one soon and see how I feel about it now. Wow has it been 6 years since this film came out? Geez, somehow it feels like it’s yesterday that I saw the trailer, I actually remember seeing the teaser at an IMAX theater before the showing of The Dark Knight and was quite excited for it. Unfortunately I wasn’t that impressed with the actual film; after seeing this film I sort of lost any faith in Zack Snyder, I thought for sure he’ll be the next great director after his excellent remake of Dawn of the Dead. I never saw the director’s cut, I think I bought the Bluray but have yet to watch it. Really cool review here, Michael. Very nice to get a look at the pros and cons of this adaptation. I also really enjoyed getting a look at J.D.’s review that you linked. Together they both have a lot of nice observations of the film. So back when this first came out I attempted a viewing and didn’t make it to the end. I diligently fed it into the Xbox this weekend and did make it to the end this time. I was thinking I might have a better time with it after reading the source material but, after all, my opinion remains the same. I don’t like this movie. Despite having moments of phenomenal faithfulness, for me, this adaptation highlights everything I liked least about the graphic novel and obscures my favorite parts. And I can’t agree more with the terrible casting of SSII and Ozy. Those miscasts really hurt this movie. I have many quibbles with the directing and I also felt like the soundtrack hurt the story rather than enhanced it. Everything about the movie is just really heavy handed (and, as you know from my review, I didn’t exactly find the graphic novel to be subtle to begin with). Interesting. Highlighting the least aspects of the graphic novel…hmm. Yeah, “…the terrible casting of SSII and Ozy” didn’t help something like this. They do come off slightly better in the Director’s Cut, but they are the weak links. Some parts of the soundtrack works for me, but others…Oy. Still, really glad we did this one. Thanks to Bubbawheat, and of course, you! I have to admit that I tried and failed to watch this because I couldn’t fathom what was going on. Nice post! 🙂 I remember reading this quick before the movie came out. First & only graphic novel I’ve ever read. I think the movie was well done and actually improved on the ending. But… I’ve not watched it since. Won’t be an all-time favorite. I think I need to give this a second go. I thought there were genuinely great moments here (love that opening credits sequence) but the size of the project proved too much and the film kinda falls apart. Top work on revisiting this. I’ve seen this movie a dozen times and I like it more each time I see it. The use of the music (with maybe the exception of the Hallelujah scene) seemed to integrate well with the scenes and move the spirit of the film along. The grim crimes that Rorschach follows are disturbing and I know this will not be for everybody. I read the graphic novel before the film came out, (one of only three or four I’ve ever read) and I thought the ending of the movie worked better than the end of the novel. That probably renders my opinion irrelevant from the purist point of view but from a cinematic point of view, it just made more sense. Snyder gets a lot of crap for repeating stylistic touches that fans originally loved. I did not stop loving them so the slo-mo fights and the elliptical camera moves are still fine by me. Best line: None of you seem to understand. I’m not locked in here with you. You’re locked in here with *ME*! Great and thorough write up! I think the Watchmen movie deserves multiple viewings, I get more out of it each time I watch it, and there definitely hasn’t been another ‘super hero’movie like it! A terrific breakdown of a divisive film, dude. Nice job. Watchmen was always one of those films I figured would be a slow-burn project, the kind film that becomes more (or less) appreciated as time goes by. Having watched it numerous times in the years since, not only have the film’s flaws become more obvious, but I think I’ve become more enamored by what Snyder managed to achieve from the “unfilmable” comic book. For sure, the style of the movie overrides whatever story Snyder was trying to tell, and that is perhaps the most critical part of the end result. 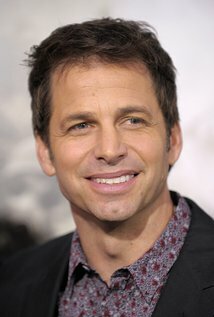 I’m not sure a) what Snyder was trying to say to audiences with this film, largely because the film is based on a comic book that’s so rooted in its time period, it’s unlikely to strike a chord with younger audiences (IMO), and b) his ability to craft characters out of such dynamic visuals isn’t as strong as it needs to be to make the characters, either as an ensemble or individually, as accessible to the viewer as, say, your standard Marvel film these days. That’s not to say I dislike the film, because I think it’s a remarkable piece of filmed visual style, but I think its problems tend to become too cumbersome when removing the film from its comic origins. People familiar with the original comics will appreciate what Snyder has done, if only for its visual tenacity, if nothing else, but casual viewers will most likely remain as nonplussed as ever with the alternative time-line conceit and the melancholy, altogether depressing aesthetic Snyder delivers.